Your cancer care team is made up of many medical experts. But there’s one more important player to remember: You. Taking an active role in your cancer diagnosis and treatment allows you to feel more in control when things are uncertain. More importantly, it helps ensure that you’re treated in a way you’re comfortable with. Here are five ways you can do exactly that—and be your own best advocate. 1. Prep for your visits. Tell your doctor how much you want to know about your diagnosis and treatment, and plan how you’ll keep track of the information. Take notes or ask your doctor to write things down—like your cancer type, stage, treatment options, and care instructions. If questions come up in between visits, keep a log so you remember them for next time. 2. Do your homework. Read up on the options your doctor recommends before committing to a treatment plan. Being informed can help you choose the right care path for yourself, especially when there’s not one obvious choice. 3. Seek out a second opinion. Getting one can confirm details about your diagnosis and make you feel more confident about your treatment plan—or help you learn about other possible options, such as clinical trials. Your doctor may be able to refer you to another expert. But you can also seek out a second opinion on your own. Try to obtain one from an NCI-designated Comprehensive Care Center, like Fox Chase, which has specialists who will know about your specific type of cancer. 4. Open up. You’ll get the best care when your providers know your full story. Be honest about your habits, even unhealthy ones like smoking. And don’t hold back when issues come up during treatment. Your doctor can help you manage uncomfortable side effects such as pain, nausea, diarrhea, or fatigue. Your cancer care team can also suggest resources for coping with emotions like sadness or feeling overwhelmed. 5. Be your own best advocate. Go with your gut if things with your doctor or care plan don’t feel quite right. “Sometimes there are differences in personality or communication style that make it hard for patients and doctors to connect,” Olszanski said. Should that happen, don’t be afraid to seek out another provider or ask a nurse or hospital social worker for guidance. “Patients need to find someone who works best with them,” Olszanski said. 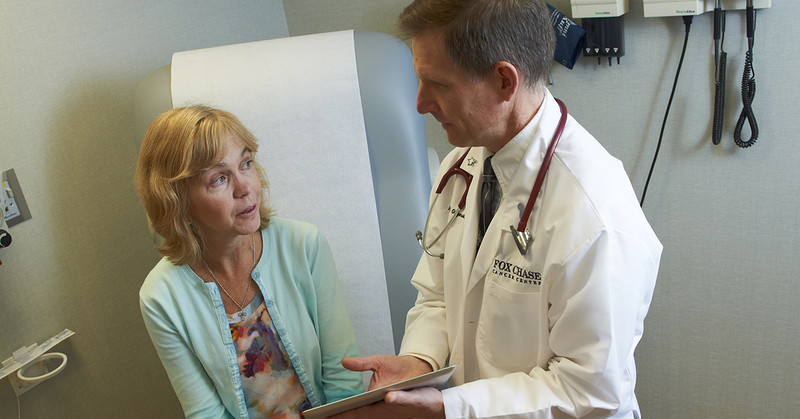 Learn more about how to prepare for your first visit to the oncologist.